Who doesn’t love the shooting games? Thanks to powerful GPU of the modern smartphones, gamers can now have a console-like experience on their phones. There are so many shooting games available for Android devices. Almost in every 2-3 months, we see new games landing to Android and attracting gamers. But there are few games that are ruling for ling. I am also a fan of shooting games and PUBG is my current game. 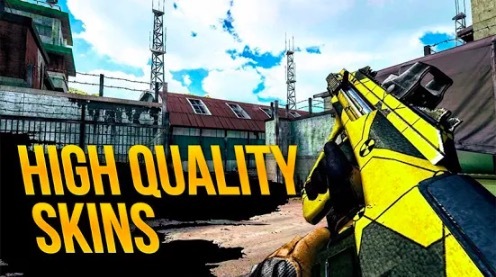 If you are not sure what shooting game to try, here is the list of best shooting games for Android. We take a look at the best shooting games out there in the market. We’ve included both FPS and TPS games, so let’s dig in! 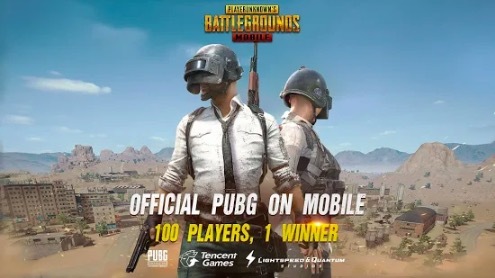 PUBG Mobile is the mobile version of popular PlayerUnknown’s Battleground shooting game. The game is trending since its launch for Android. In the game, it drops 100 players onto the map with no supplies or weapons. Each player has to find the weapons and other necessary items from the nearby buildings and then fight. The ultimate game is to be the alone survivor. You can play alone or play with friends in Duo or Squad mode. The game is free with in-app purchase option. Fortnite is also a game similar to PUBG Mobile. In the same, you will be dropped from the sky. After landing to the ground, you will have to find various items find various items including clothes and guns. Then you will have to kill all of your opponents and become the last one standing to win the game. 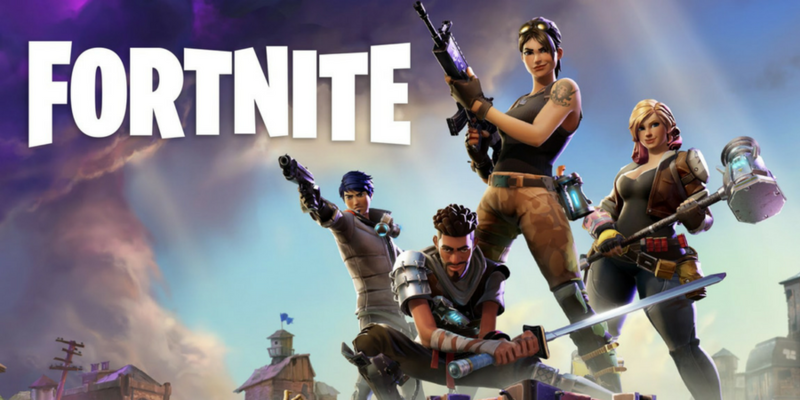 Fortnite is not available from Play store, so you need to download the game from official website. 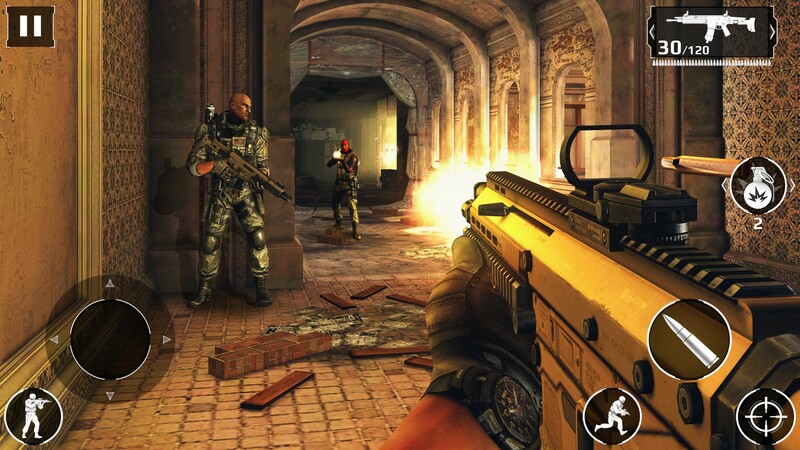 The fifth installment of the Modern Combat franchise is bigger and better than ever before. 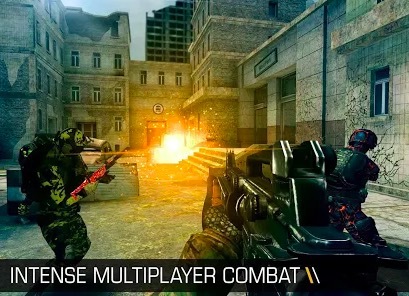 Developed by Gameloft, the Modern Combat 5 has stunning graphics, impressive storyline, and immersive gameplay. Traverse the world, from Venice to Tokyo, with a fast-paced campaign mode. The missions are diverse; from shooting Raiders to protecting NPCs, From shooting down helicopters to blowing up tanks, Modern Combat 5 is so much fun. Although it is a graphic extensive game, The controls are comfortable and gameplay is smooth. The best part? It is free to download. Dead Trigger 2 has been on the market for 3 years and continues to be the most popular shooting game. 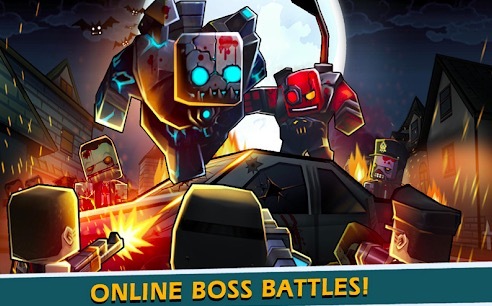 It is probably the best Zombie Shooter available in the store. Brace yourself as you battle for survival in the dark zombie apocalypse. With 10 regions in different parts of the world, 33 unique environments, 37 different kinds of weapons and 600 gameplay scenario, you will spend hours together slaughtering the undead. Dead Trigger 2 has amazing graphics with real-time water reflections, ragdoll physics, and dynamic vegetation. The controls are fluid and responsive, Dead Trigger 2 also supports MOGA. 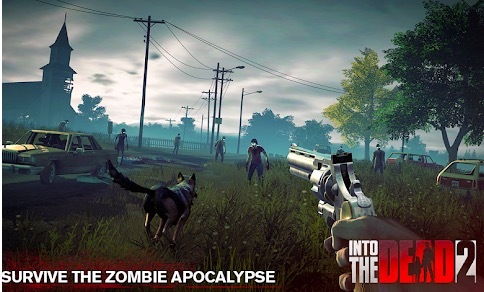 Into the Dead 2 is also a good shooting game that offers zombies Survival gaming. You will have to kill zombies and survive for as long as possible. The game has good graphics, a variety of weapons and multiple endings. The game has 7 chapters, 60 stages and hundreds of challenges. The game is free to play but there is an option for in-app purchases with real money. Overkill 3 is one of the finest third-person shooter available out there. Stand up for humanity and fight for its future as you lead Resistance and fight the evil Factions. Overkill 3 has a massive arsenal of weapons with Customizations, Upgrades, and Attachments. The environment is diverse too, ranging from industrial abandoned cities to harsh deserts. Overkill 3 has a massive arsenal of weapons with Customizations, Upgrades, and Attachments. The environment is diverse too, ranging from industrial abandoned cities to harsh deserts. The graphics are console quality and are deeply detailed alongside a beautiful environment and ragdoll physics. 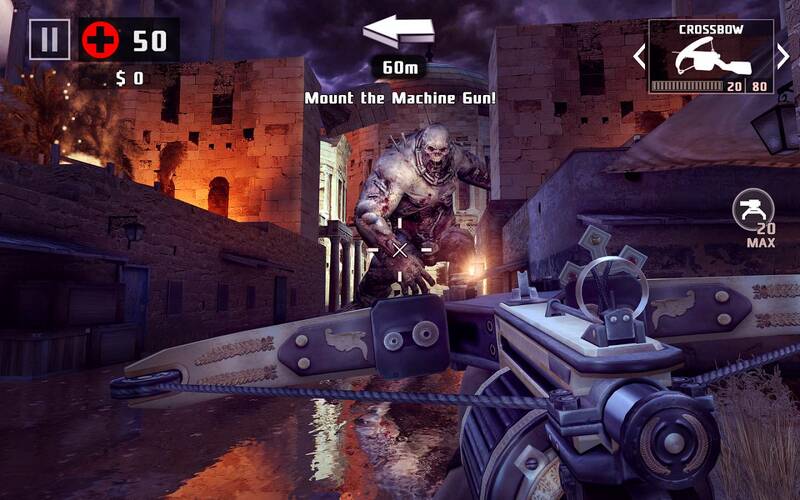 Overkill 3 is available on the play store for free. Fight your way through enemies and save earth and mankind as you play as Kal Wardin, the former N.O.V.A commander who is in hiding after the President’s assassination. 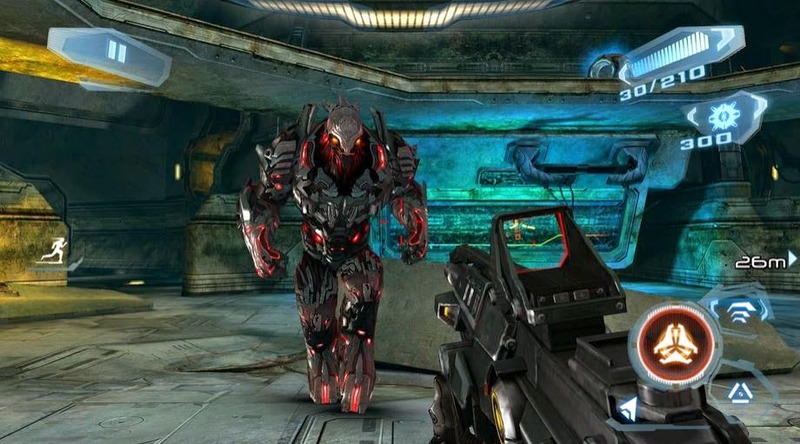 This sci-fi FPS has impressed gamers and critics alike with its deep and impressive storyline and immersive gameplay, which is mixed with cinematic cutscenes. This sci-fi FPS has impressed gamers and critics alike with its deep and impressive storyline and immersive gameplay, which is mixed with cinematic cutscenes.N.O.V.A 3 has very responsive controls and a tap to target aid. It is free to play and has a few ads. Unkilled game is very similar to Dead Trigger game. In this game, you will be killing zombies and completing different missions. Graphics of the game is good and there are lots of weapons to unlock during the game. 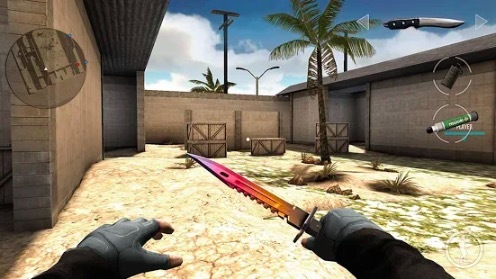 Critical Ops is a first-person shooter game where you need good reflexes and tactical skill to win. The game is still in beta but worth to check out. It has three game modes to choose from. These are bomb defusing, team deathmatch, and gun game. You have to cycle through different weapons for killing cycle through different weapons. The game is similar to Call of Duty: Modern Warfare also has something adopted from CounterStrike. The game is free but contains ads and offer in-app purchase. Modern Strike Online is another nice first person shooting game that you can try to have a decent gaming experience. The game has 8 battle modes for a single and team fight like gun games. You can try all those modes for awesome shooting experience. You 14 maps to try different tactics and 70 types of weapons. There are also tournaments to win prizes. You can also create your custom games with own rules and play with friends. This is also a free game with ads and in-app purchases. Bullet Force is also a good mobile game with awesome graphics and nice shooting experience. It is also considered to be one of the best first-person shooter to enjoy. It has both online and offline shooting option. You have over 20 weapons, 30 weapon camouflages and multiple optics. From Warzone and Zombie Apocalypse, we move to the Wild. 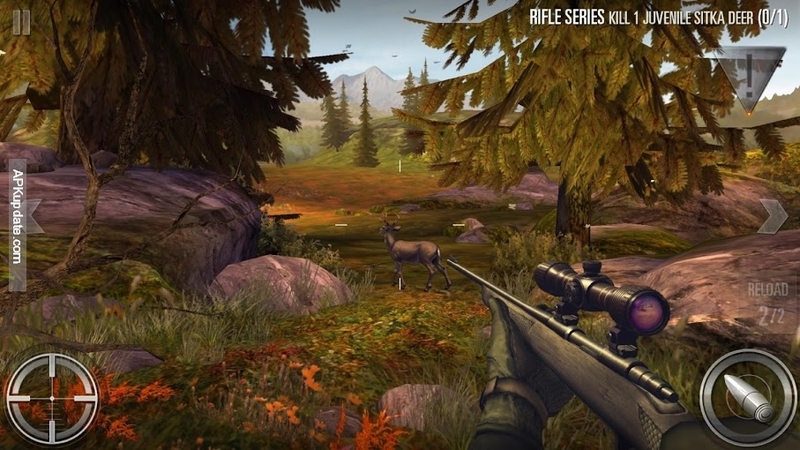 Wander the Wilderness and set up Hunting Stations as you hunt across the globe in Deer Hunter 2016. Track, Hunt and Takedown exotic animals for your trophies and earn the bragging rights by unlocking achievements and leaderboard. This game is very realistic, thanks to its crystal clear and detailed graphics. Build your guns, customize them and master your skills as Deer Hunter 2016 is free to download with Micro Transactions. Build your guns, customize them and master your skills as Deer Hunter 2016 is free to download with Micro Transactions. 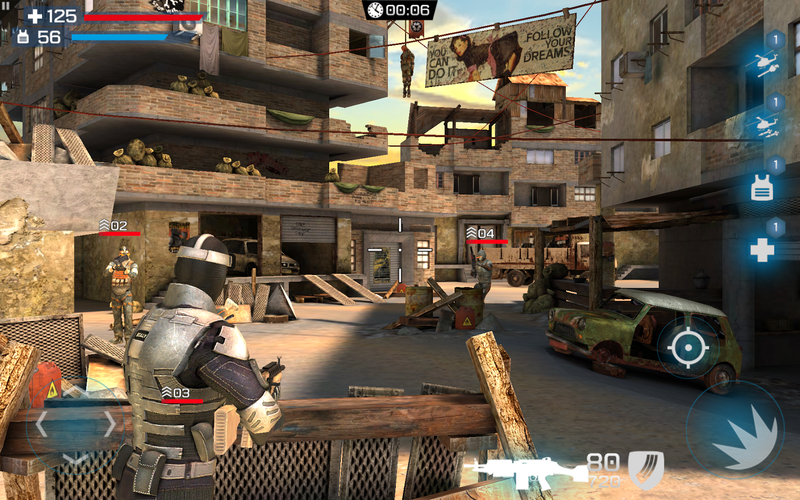 Sniper 3D Gun Shooter is also a good shooting game for android. The game offers first-person shooting experience where you will be shooting enemies using a sniper. The game has hundreds of thrilling missions and ultra-realistic 3D graphics. The game also comes with several battlegrounds to play. These battlegrounds will have different cases from kidnappings to bomb attacks. Sniper 3D Gun Shooter game is free to download and play on Android devices. 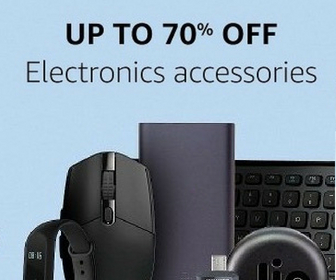 It contains ads and offers in-app purchases. 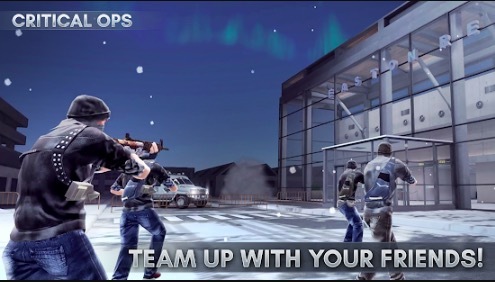 Bullet Force is a multiplayer FPS game for Android and iOS both. The game is extremely fast-paced and can be enjoyed both online and offline. It has four different modes including Team Deathmatch, Conquest, Free-For-All, and Gun Game. In all these modes, you will have to combat against other players. Here are over 20 weapons, 30 weapon camouflages, multiple optics, laser sights and more. Call of Mini is also a nice shooting game for casual gameplay. In the game, you will have to kill zombies and survive. There are 500 stages to cross, 25 deadly weapons to use, and 35 CHALLENGING achievements. The has a straightforward objective. There is also a co-op mode to play it with friends. With the progress in the game, you will unlock powerful weapons and characters along with new skills.